A powerful, inventive collection from one of America's most critically admired poets"What has restlessness been for?" In Wild Is the Wind, Carl Phillips reflects on love as depicted in the jazz standard for which the book is named--love at once restless, reckless, and yet desired for its potential to bring stability. In the process, he pitches estrangement against communion, examines the past as history versus the past as memory, and reflects on the past's capacity both to teach and to mislead us--also to make us hesitate in the face of love, given the loss and damage that are, often enough, love's fallout. How "to say no to despair"? How to take perhaps that greatest risk, the risk of believing in what offers no guarantee? 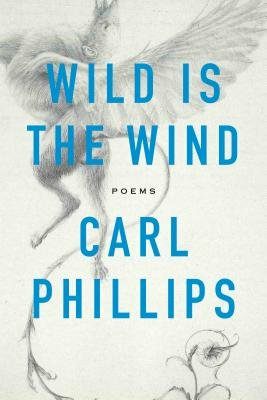 These poems that, in their wedding of the philosophical, meditative, and lyric modes, mark a new stage in Phillips's remarkable work, stand as further proof that "if Carl Phillips had not come onto the scene, we would have needed to invent him. His idiosyncratic style, his innovative method, and his unique voice are essential steps in the evolution of the craft" (Judith Kitchen, The Georgia Review). One isn't quite sure what engages Phillips more  the real woods, or the idea of them.... That's an abiding challenge with Phillips's poems, which can become so immersed in intellectual disquisition that they sound aridly abstract. At his best, though, Phillips has a keen eye for what's transitory  for those things made all the more beautiful because they can't last.